I literally woke up today and everything on my OnePlus 3T screen moved to the left. All of the icons and even the Google Search bar have simply moved to the left and I have no clue how to fix it. It appears you may have activated left hand mode. Go into settings, select the search icon and type in Left. 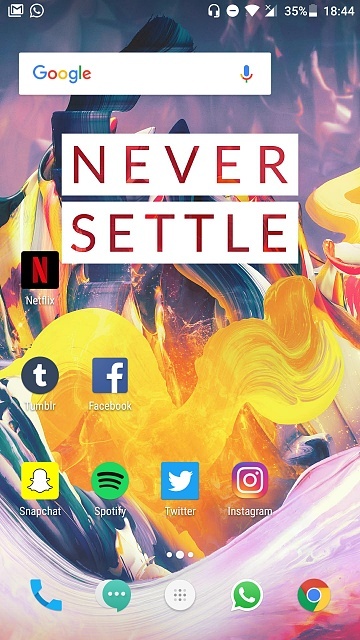 I have a OnePlus 3T, I literally woke up today and everything turned small and moved to the left side of the screen. Even the Google search bar, it's like, only half the screen. That happened even though the settings for icon and text are on "Standard" which is medium. 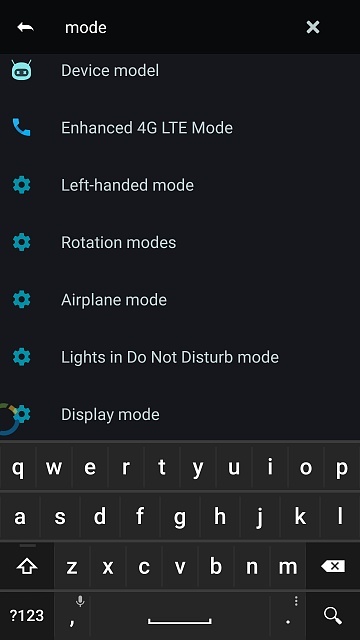 No the phone does not have a "one-handed mode", I've checked it several times. Also looked for anything that seemed to solve the problem through all kinds of configuration (not only the screen ones) and still couldn't find anything. Sorry to hear its not letting you register. Quick question are you using a third party launcher or is the phone using its default stock launcher? 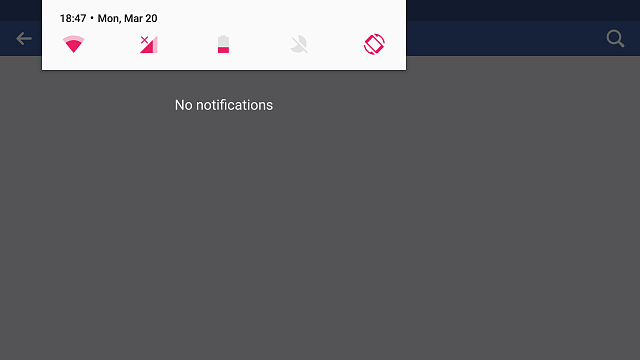 I've found a lot of times my settings get changed a lot when i pick up the phone in a hurry and its on i accidentally move widgets and stuff around. One time while using nova launcher I switched all my icons on different pages. And no, I'm pretty sure it's the default stock launcher. The phone is basically new and I don't really mess around with things. I hope the screenshots help somehow(?) It's just messed up and I don't know what to do. Thanks for the screen shot welcome to Android Central. (officially) lol. After re reading your original post you might have tried this. 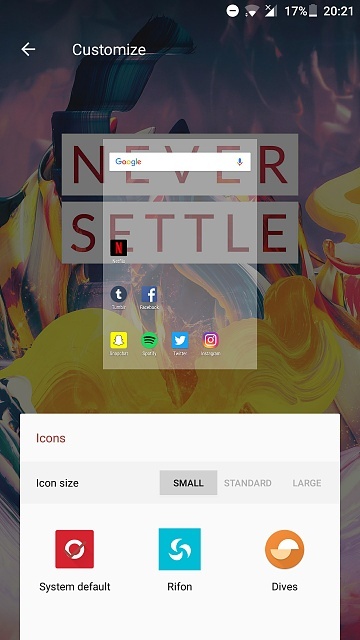 Long press anywhere, as you would do to change the wallpaper or add a widget, choose "customize", swipe 2 tabs to the right and there you'll find the "Icons" section. The grid size changes, but the number of icons stays the same I think. Try messing with the size settings see if it makes things bigger. Also on the second screen shot I wonder if when you rotate between landscape and portrait mode if it changes and some how got stuck in that configuration. That didn't work either, I don't know what I'm supposed to do anymore, I keep searching in the phone's configurations for icons, grid, screen or home screen and can't find anything. Here's another screenshot from what it looks like when I do what you told me. The first thing that happens is showing this icon thing and it doesn't move anywhere. I changed from iOS to Android and I'm disappointed already, I thought this was supposed to be easily customisable. Awesome screenshots. Its ok we will figure this out. So with the most recent screenshots it looks like the tabs next to the icon size text should allow you to bring it back to normal size. Does it let you choose between small, standard and large? at the moment it looks like its currently in the small configuration. If we select standard are you saying it doesnt go back to normal size? I also see it looks like google was changed back to normal length? If so maybe re arranging your apps how you had them would be easier. Also I would recommend seeing if you have the latest update installed thats always a plus. Yes it is already set in Standard size, and I tried to change it back and forth many times. Actually I had the last android update installed last night and all apps are also up to date. I could change Google's size for some reason when I "clicked and held" it but the same thing didn't happen to the other apps though. But that's exactly it they don't come back to the normal size and the normal side of the screen. I combined the 2 threads, so that all the answers would be in the same place. We also have more help on the way! Sit tight! bcbbanga4l and pkcable like this.